Keep Track of Daily Market Moves With Advisor Insights. 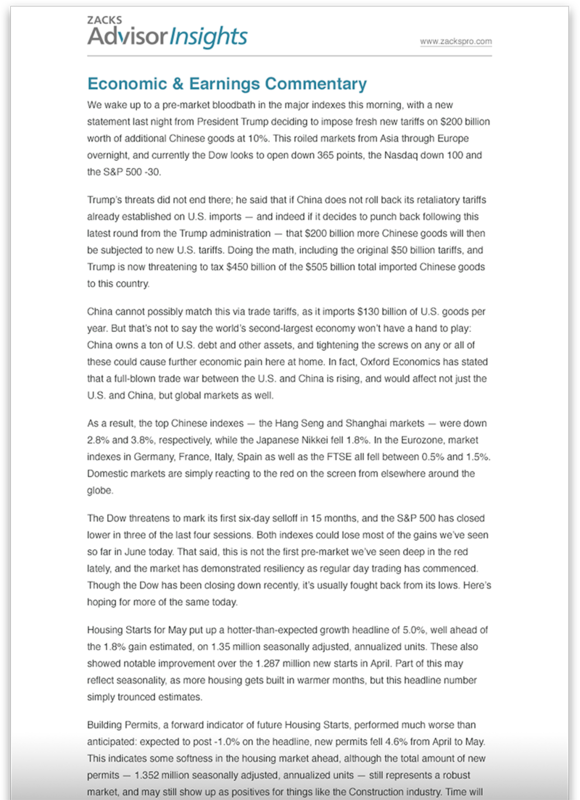 Start each day off right with essential news and analysis on stocks, sectors and the economy, augmented by links to Zacks award-winning research. Subscribe now to get Advisor Insights delivered to your inbox each morning!